To celebrate our 25th Anniversary we are hosting a Gala Dinner at Gleneagles Hotel on Sunday 17th November. The Federation of Chefs Scotland (FCS) was formed in June 1994 and is an organisation democratically managed by Scottish chefs for chefs. Our mission is to promote excellence in all areas of the industry in Scotland. We are active members of the World Association of Chefs Societies (WACS), so our members are part of a global network of Chefs. 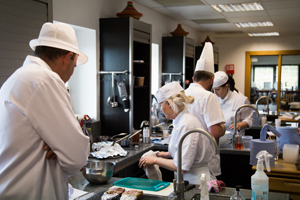 We support and develop the skills of chefs and cooks at all stages in their careers through training and our commitment to culinary competitions. 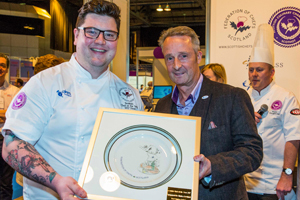 We run competitions annually and every 2 years at the Scottish Culinary Championships at ScotHot. 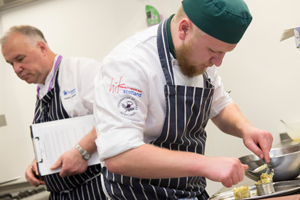 Each year we run the Scottish Chefs Conference giving chefs the opportunity to see demonstrations from both home grown and international chef talent. We operate the two Scottish Culinary Teams (Senior and Junior), who represent Scotland at some of the world’s most prestigious culinary competitions every year. 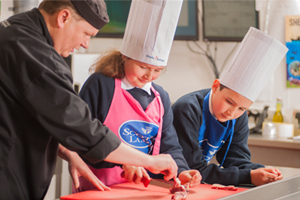 We are ambassadors for Scottish produce, suppliers and growers and we support the work of key organisations such as Quality Meat Scotland, Seafood Scotland, Visit Scotland and Scotland Food and Drink in their activities and promotions. Our members represent all sectors of the industry and chefs at all stages of their career path. We are united by our commitment to the highest standards and the opportunity to shine. So whatever your kitchen role there’s something for you in the Federation. The Federation is a non-profit making organisation and we use all of the funds that we raise to support the industry in Scotland. We welcome support from a cross section of industry supporters and have options to suit every budget.